Before we dive into cleaning up your COA, let’s review the basics. Income: This account type includes accounts that generate business for your organization. Liabilities: This is what you owe. They require you to give up cash, assets, etc. to settle past transactions. Assets: Generate residual value, or represent a specific value. Examples include inventory, property and cash. Once the Chart of Accounts has been opened you can begin setting up new accounts in two easy steps. Press Ctrl+N to open the Add New Account window. On the menu bar at the bottom of the Chart of Accounts window, click Account →New. Alternatively, you can right-click anywhere in the Chart of Accounts window, then choose New from the shortcut menu. Either method will prompt QuickBooks to open the Add New Account window. As your business grows, so does your COA. But bulkiness in your accounting system is oftentimes confusing. It can make reporting more complicated than it need be. It can cause difficulties when trying to compare items across account types. On the other hand, having too few accounts leaves holes in your accounting processes that could be important for instance, when it comes to taking deductions. If the number of accounts in your COA is not large enough to adequately represent all the accounts you do business with you could be losing out. Doing a routine internal audit of your COA offers you the opportunity to ensure all items are correctly and accurately named. This helps to eliminate confusion within your accounting system and makes sure all business names are current. A well-organized chart of accounts helps to reduce user error by eliminating confusing and promoting simplicity. Furthermore, it allows you to unlock valuable business information in a more timely manner, paving the way for more effective decision-making. Importantly, you must remember when preparing to organize your chart of accounts that in QuickBooks Online items are linked. If an Expense Account is linked to another item, like a service that you no longer offer, you must first make the service inactive before you can deactivate the linked account. You can work backwards from the account on your chart that you wish to deactivate. The default setting is to sort alphabetically and by account type. You can use a numerical system in the account name and QuickBooks Online will sort numerically, and then alphabetically and by account type. If you’ve been in business for some time and this is the first time you are reorganizing a chart of accounts you are likely going to be marking several accounts inactive that you no longer need. In QuickBooks Online, you can make accounts inactive by deleting them. The good news is that, in QuickBooks, deleting accounts will not change reporting (except for listing the accounts as Deleted). In addition, any transactions previously recorded under these accounts will not be deleted. However, it is important to note that by default, some accounts cannot be deleted. Select the Gear icon > Chart of Accounts. This is a valuable tool if you've been using two similar accounts and would like to combine them into a single account. You can merge accounts within your chart of accounts. But before you do, you should take note that any merger is a permanent action. Start by selecting Chart of Accounts from the Tools menu. Click to highlight on the account you want to merge into. If a sub-account exists make note of the parent account it is associated with. Select the back browser, returning to Chart of Accounts. Select the duplicate account and click Edit. Make the Detail Type match the merger account. Make sure sub-accounts are associated with the same parent. Click Save, and Yes to confirm merger. Pro Tip: Unlike archiving or removing inactive accounts, merging is permanent and you cannot undo the process once you hit “confirm”. You can also merge vendors or suppliers in a similar manner to the steps described above. As mentioned above, sometimes accounts are linked to products and services. Deleting extra accounts may mean taking a step back to update your product and service categories. In the right-hand Action column, select Edit. The goal of cleaning up your COA goes beyond following the steps to delete and merge accounts. You should also keep in mind the following best practices that will help to optimize the performance of your system and reduces the propensity for error. Here are some tips for optimizing the cleaning of your COA. Start with making a list of accounts that have a zero balance. These are likely unnecessary to the overall functioning in your system. The exception may be parent accounts where the revenue doesn’t roll up. Exceptionally small balance accounts and accounts with few transactions may be duplicate accounts that can require merging. Audit all account names for accuracy. Customize your chart of accounts settings. If you haven’t done this before and you have stuck to default you could be missing out on valuable reporting and data options that would enhance the functioning of your business. Decide if you want to use account numbers as a way of prioritizing the order of your COA. Link parent and sub-accounts in instances where they haven’t been linked. If you’ve come this far, the perfectionist in you is probably wondering if you have the tools to master your chart of accounts. You’ve come to realize a messy chart of accounts means time and money lost with a systemic lack of efficiency that affects all levels of your business. That’s because a chart of accounts isn’t just any old list. It’s the foundation of your business. It’s the key to the layers of transactions that make up your company’s revenue and debts. It tells a story through reporting tools. A good chart of accounts has correctly categorized data siloed into hierarchies that provide an accurate picture of accounts and transactions. Charts of accounts can also be customized to benefit certain industries. The key to mastering your chart of accounts is to customize the settings to best benefit your business. When setting out to clean up your chart of accounts, it’s equally important to audit your system in advance and use that information to optimize how you clean accounts. 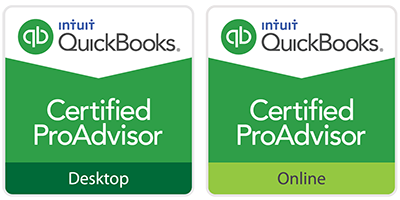 During the organization session, savvy accounting system administrators will take the opportunity to check QuickBooks Online settings are optimized for optimal performance. If this all sounds like it adds up to a lot of work, you’re right. Cleaning up your chart of accounts can be a project that takes place over the course of days or even weeks. You may need some help categorizing your COA, creating hierarchies and tailoring it for optimal performance within your business model. Hiring your own in-house accountant can get extremely costly. However, outsourcing your accounting and bookkeeping to a firm like Ignite Spot saves you time and money, allowing you to focus on your core operations. 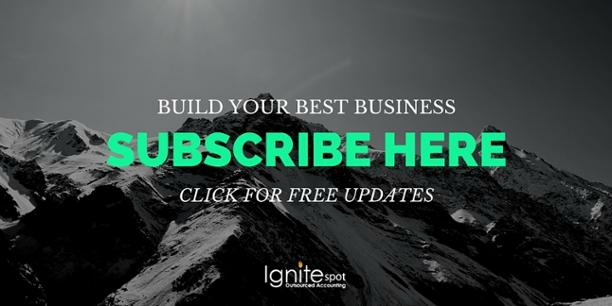 With outsourced accounting from Ignite Spot, you won't have to worry about the principles of accounting; you have enough to worry taking your small business to the next level, this year and beyond. Contact our team today to see how we can help meet your small business accounting needs.